Just click here, and iTunes will automatically check for new episodes when you open it. Who’s playing this week. We listen to almost every band playing and pick our favorites. Hopefully you agree. 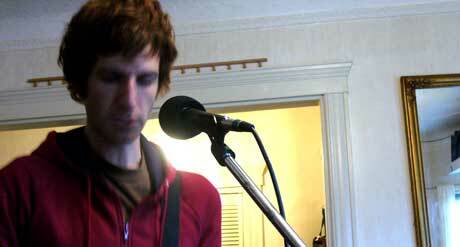 Stripped-down semi-acoustic performances from some of the best bands from Boston and beyond. Live and in the wild. Hear bands the way they were supposed to be heard. Loud, live, and in person. 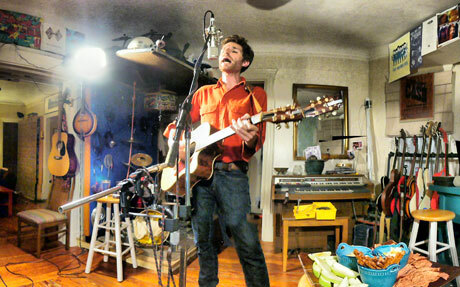 Yoni Gordon seems to write songs at a record-breaking pace. And he’s not one to get stubborn about genres. In the years between his first visit and this one, he shifted from angly new wavey rock to a bit more of an Americana-ish feel. Just after recording this session, he set out on a tour of the US that consisted of setting up tents outside of venues for that authentic southern revival vibe. Yoni (and his band, The Goods) is/are playing twice this week – Friday at the Cambridge Elks, and Sunday at The Abbey. He’s got a voice and style that’s a little tough to capture with the measley microphones that are currently known to man, so go see him live.